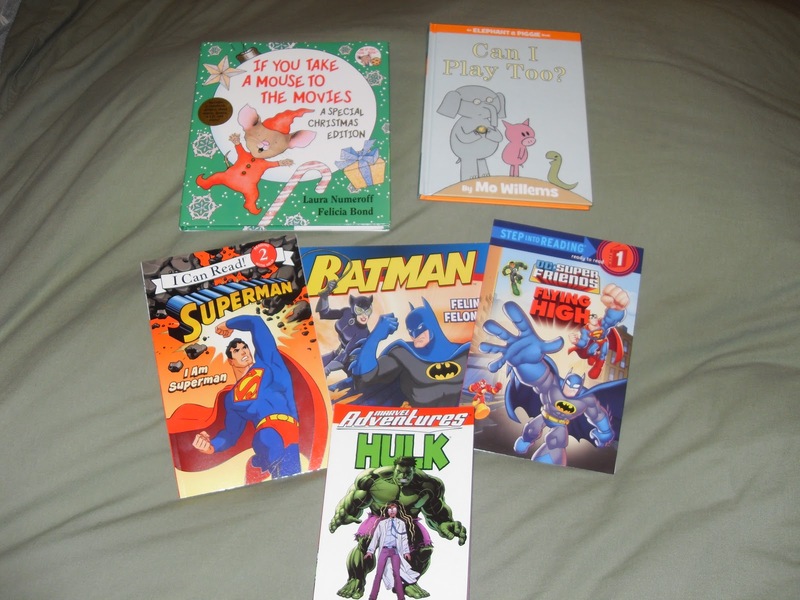 TIF TALKS BOOKS: Christmas Loot #2: Superhero Style! 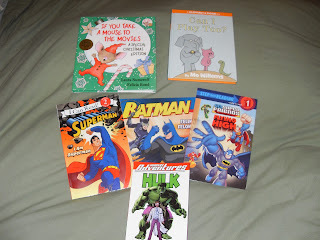 Christmas Loot #2: Superhero Style! Today I am highlighting my son's literary loot from Christmas. He is a huge fan of superheroes as you will probably gather from the pictures, but he will read just about anything. Nothing calms this kid more than sitting down with a book! 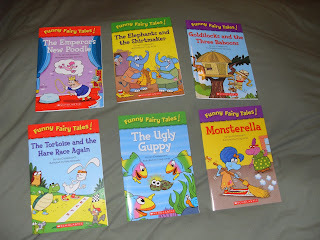 Mom & Dad: Scholastic Set of Funny Fairy Tales including . . .
Last, but not least, I thought I would also share a family pick here since it was my son that choose this one. While we were spending our giftcards yesterday, we found this book marked down and I realized that I had not yet bought our annual holiday book. 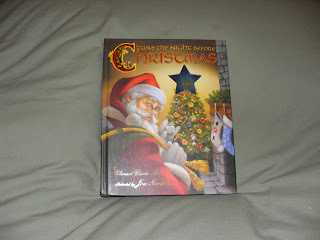 I believe that everyone needs a nice copy of 'Twas the Night Before Christmas, and this copy by Clement Clark Moore and illustrated by Jon Goodell was one that was hard to pass up! I gave in, like I usually do with books, so it is now a part of our collection as well! Unfortunately, my son knows my weakness! What titles do you think would be a good choice for a Kindergartner? Maybe it's just a girl thing but I don't think so because they're just funny...Junie B. Jones. christine . . . I've been looking at those, but have never read them! I will try to pick one up next time at the library because I've heard lots of good things about them! I like that Scholastic Set with all the funny names. Melina . . . They are cute, aren't they?!? 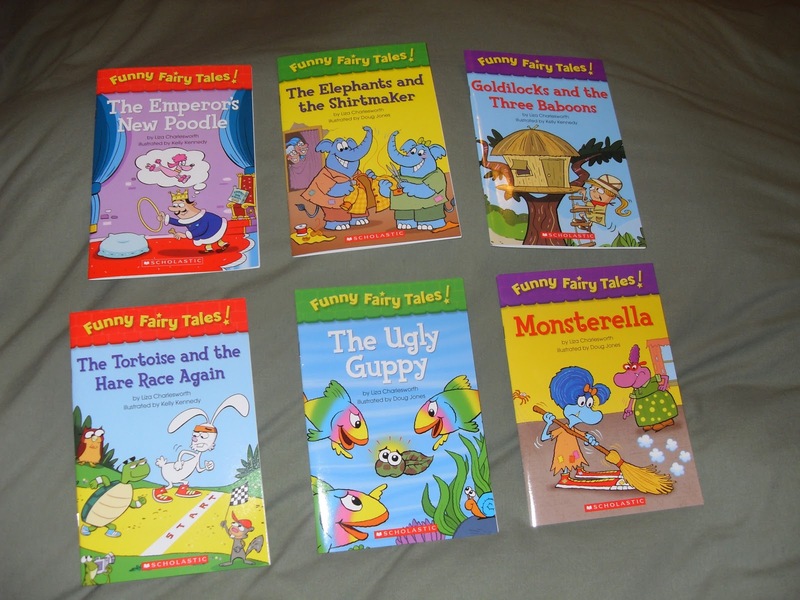 I can't wait to read them all with my kids!